The pharmaceutical industry is concentrated in the US and Europe, and the the 10 biggest drug companies are located in those regions. Check out this pharmaceutical industry overview. Looking for a pharmaceutical industry overview? Let’s start with the world’s biggest pharmaceutical markets, the US and Europe. According to Pharmaceutical Technology’s list of the world’s biggest pharmaceutical companies by revenue in 2018, almost all of the 10 biggest pharma companies are located in those two regions. Although areas like China and India have seen growth in recent years, when it comes to the life science space the US and Europe remain on top for pharmaceutical consumption and development. That’s due to potent capital opportunities and expanding demand for products and devices. In these two locations, healthy and transparent systems allow public companies to bring their products to market after proper vetting. Meanwhile, patents allow the protection of novel candidates and treatments against serious diseases. 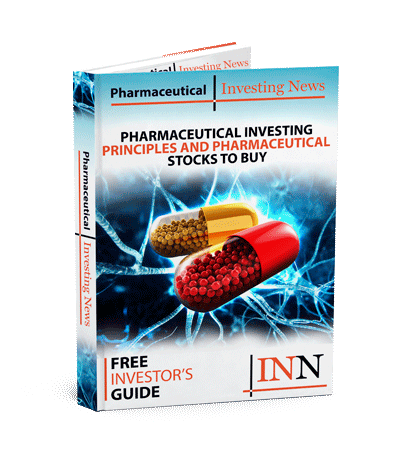 With that in mind, here in the Investing News Network provides a pharmaceutical industry overview, breaking down the two top pharmaceutical regions in more detail. The US dominates the pharmaceutical market, both in consumption and development. It’s expected that medicine spending in the US will increase 5 percent every year from 2017 to 2026 and reach $5.7 trillion. In 2017, the US Food and Drug Administration approved a total of 46 new drugs through the Center for Drug Evaluation and Research. Among them were treatments for certain types of ocular hypertension, mantle cell lymphoma and metastatic breast cancers. So far in 2018, the FDA has approved 36. The US is the world’s leader in research and development. In fact, the country was the site of 99,000 sponsored clinical trials as of September 20, 2018, and accounted for 35 percent of total global trials. US biopharmaceutical companies directly provide jobs to more than 810,000 Americans and indirectly support the jobs of 3.5 million Americans. Overall, the economic output of this work was valued at approximately US$1.2 trillion in 2014, making it one of the most important sectors of the US economy. By 2026, it’s expected that the healthcare sector at large will comprise 19.7 percent of the US economy. A strong intellectual property system that rewards innovation and the improvement of current treatments ensures a supportive pharmaceutical market for public companies, according to a report from the International Trade Administration. “The United States attracts the majority of global venture capital investments in start-up biopharmaceutical enterprises,” the report states. The rest of the 10 top pharmaceutical companies on Pharmaceutical Technology’s list are enterprises in Switzerland, France and the UK, including firms like Novartis (NYSE:NVS) and Sanofi (NYSE:SNY). According to Evaluate, the pharmaceutical market in the EU-5 is expected to grow by 25 percent between 2017 and 2022, averaging a CAGR of 4.5 percent over this period. The EU-5 accounts for 69 percent of the European market, so there’s potentially even more growth beyond those five countries. Evaluate claims that Germany’s pharmaceutical sector is expected to have a market value of 9.7 billion euros by 2022. Europe is known for innovation as well, and there are many products in the research and development stages right now that will reportedly make up 13 percent of pharma sales in Europe by 2022. Sanofi’s Dupixent product was launched last year and is forecast to be the highest seller in 2022. This wraps up our pharmaceutical industry overview of the world’s two biggest pharma hubs. What else would you like to know? Tell us in the comments.